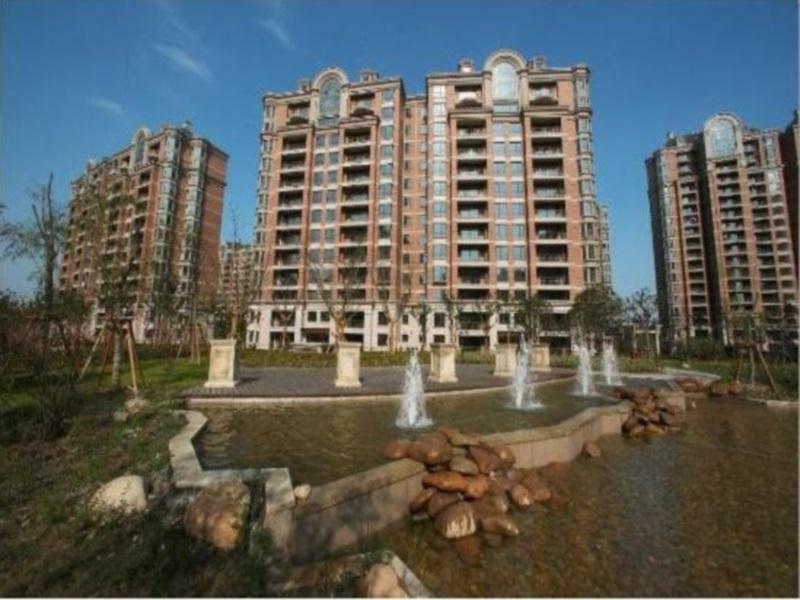 Lanson Place Jin Qiao Residence terletak di kawasan tempat tinggal yang modern dengan taman besar di Pudong New Area. Akomodasi ini menawarkan unit-unit apartemen stylish dengan Wi-Fi gratis dan dapur lengkap. Stasiun metro Jinqiao Road Jalur 6 dapat dicapai dengan 5 menit berjalan kaki. Dengan perpaduan lantai kayu dan berkarpet yang elegan, unit-unit apartemennya dilengkapi TV layar datar, pemutar DVD, dan iPod dock. Anda dapat berolahraga di gym yang buka 24 jam atau menghabiskan waktu di perpustakaan. Terdapat juga pusat bisnis dan ruang-ruang rapat. Layanan binatu, menyetrika, dan penitipan anak tersedia untuk kenyamanan Anda. Selama hari kerja, lounge tamu menyajikan sarapan dan kopi. Lounge ini juga menyediakan suasana santai untuk Anda menikmati minuman setelah seharian beraktivitas. No breakfast provided in weekend and public holiday. Harap diperhatikan bahwa hotel ini tidak menawarkan pengaturan atau dekorasi untuk bulan madu. Dilarang menyelenggarakan pesta di hotel. Sesuai kebijakan anti-rokok pemerintah Shanghai, Anda tidak diizinkan untuk merokok di dalam area gedung akomodasi. Harap diperhatikan bahwa hotel ini hanya menerima pembayaran dalam mata uang Yuan/CNY (tunai atau kartu kredit). Anda harus menunjukkan dokumen identitas berfoto yang berlaku serta kartu kredit pada saat check-in. Permintaan khusus tidak bisa dijamin dan dapat dikenakan biaya tambahan. Very bad breakfast provided. Just give u a takeaway bag, 2 harden bread, a milk and a banana, 3 dats same things inside the bag... plain harden bread, dont even bother give butter or jam. Bad reception staffs... stayed 3 days, no change bedsheets n pillow cases. No refill of coffee & tea. Fantastic service attitude. Excellent value for money. We have stayed here on multiple trips to Shanghai. Highly recommended. Very good service level, especially from the front desk manager. The service apartment is a very nice one, it got beautiful design beautiful room, and clean. The staff performance is excellent, they speak English and they treat us like no other Chinese do. The only setback of this hotel is the location, and lack of transport. Nice Apartment hotel with strategic location, at the opposite of Jin Qiao MRT Station, Just a step away from LifeHub Mall. Nice Room and interior. The reception staff are also very handy and helpful. We had a very nice stay at Lanson place. The Staff was excellent, Was always ready to help with taxi, directions & information. The apartment was fully furnished with all necessity in the kitchen. The room are a touch small, but very clean & well maintained. The Breakfast was a let down, with no selection & only running for weekdays. 2 min walk to super market & shopping mall.Had a great time & will definitely recommend to anyone..
Close to City Train(MTR), Shopping Centre and Local restaurants. Our Stay is very pleasant and convenient coz the place is clean and close to MTR, Shopping Center and quite number of local restaurants. They also provide free shuttle bus from hotel to supermarket and international expo center. But the breakfast is only quite a few of variety. Overall two thumbs up for this hotel. I was visiting Shanghai from Manchester on business. This was my second stay at the Lanson Place Jin Qiao Residences, which I chose because it offers 'affordable elegance' and exceptional value for money. Whilst not a central location, Pudong isn't ‘the 'sticks’. The hotel is 10 min walk from two metro stations and taxis are cheap and plentiful. BE SURE TO ASK FOR A PRINTED RECEIPT BEFORE PAYING TAXI DRIVERS! If you don’t speak Chinese just imitate the sound of a printer working, the driver will get your meaning. My apartment (upgraded at 'check in') had two bedrooms, two bathrooms, a dining area, lounge & a well equipped kitchen. It was superb value for a small family/two business people sharing. A good sized supermarket is 100 meters away. A bit like Dr Who's Tardis! IT IS ACCESSED VIA A SMALL DOOR IN THE BASEMENT CAR PARK UNDER THE SHOPPING COMPLEX NEXT DOOR. A limited buffet breakfast is available, which can be eaten in a network of 'cosy' rooms, ideal for early morning business meetings. I will certainly be staying at the Lanson Place when I am next in Shanghai. John Evans, Manchester 6th April 2014. Lanson Place Jin Qiao Residences provides us a home-like cosy stay in which clean environment and full equipped daily utility make us feel comfortable. Staffs are friendly and helpful. A big shopping mall just in foot step distance, resturants and supermarket are located there. we had a wonderful stay in Lanson Place Jin Qiao Residences, and we will come back for sure!